MacGruber seems a bit too much like MacGyver to some folks with lawyers. The creator of the TV series "MacGyver" is going to need a lot more than a paper clip and a bubble gum wrapper if he wants to stop the spoof film "MacGruber" from seeing theaters. Lee Zlotoff, who created the super agent ABC series, which ran from 1985 – 1992 starring Richard Dean Anderson, is trying to stop the movie – based on Will Forte's "Saturday Night Live" skit – from opening nationwide in April. According to The Hollywood Reporter, Zlotoff retained the rights to turn the "MacGyver" series into a movie and has been planning to take the franchise to the big screen. Once the "SNL" parody film was announced, Zlotoff's attorney began sending cease and desist letters to studio executives behind the project. "We feel they're infringing our rights," Zlotoff's lawyer, Paul Mayersohn, told The Hollywood Reporter. Zlotoff's legal team is reportedly considering filing a copyright or trademark lawsuit and getting an injunction against the film's release. If the matter does make it before a judge, the deciding fact could lie on whether "MacGruber" makes a "fair use" of the "MacGyver"rights. "There's a broad right to parody, and in this instance it's clearly parody," attorney Alonzo Wickers told The Hollywood Reporter. "I don't think a viewer will believe the 'MacGyver' folks authorized this." 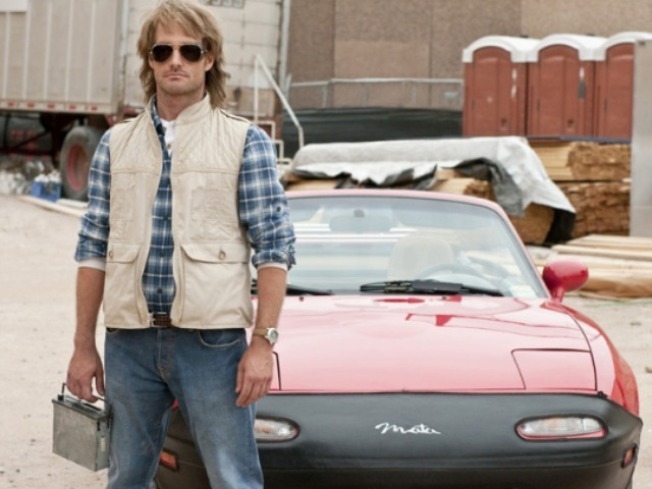 Starring Forte, Kirsten Wiig, Val Kilmer and Ryan Phillippe, "MacGruber" is set to hit theaters on April 23.